Ready for another Halloween mani? Because I got one for you all! 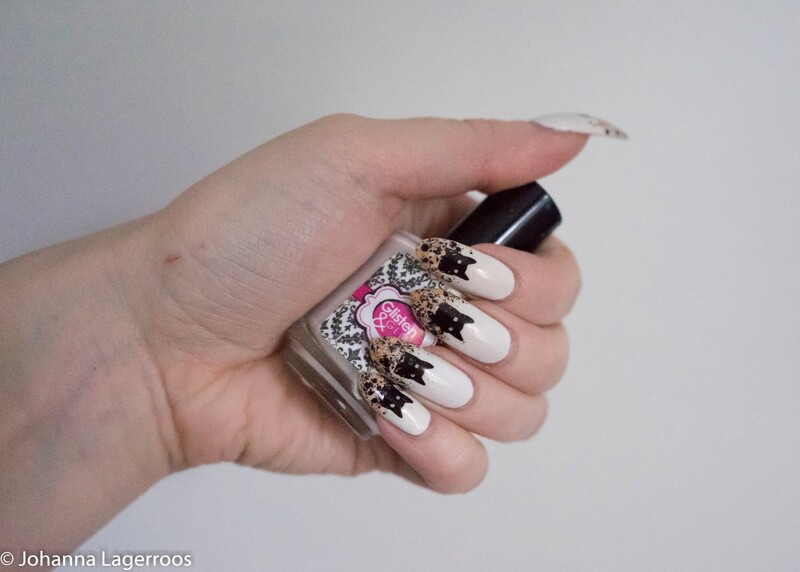 Today's design can be done with two polishes and some decals, so yet again it's something easy to recreate. I thought the combo of white, black and orange was very appropriate for this season, and the orange and black glitter topper is something I haven't touched in a while so it felt nice to get some use out of it. If you create this at home, you can of course use any glitter - or no glitter at all. 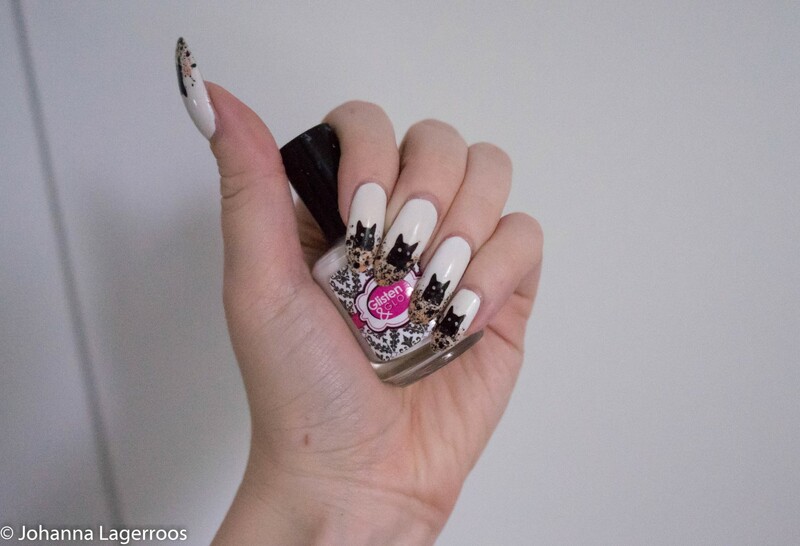 I also think this would look adorable on shorter nails, styled so that the cat decals become straight on the tips - then no glitter would be needed. I tried to use the glitter topper in a way that the effect would look like the cat is jumping from the middle of the glitter. Don't know how well you get that image but I sure did, haha. 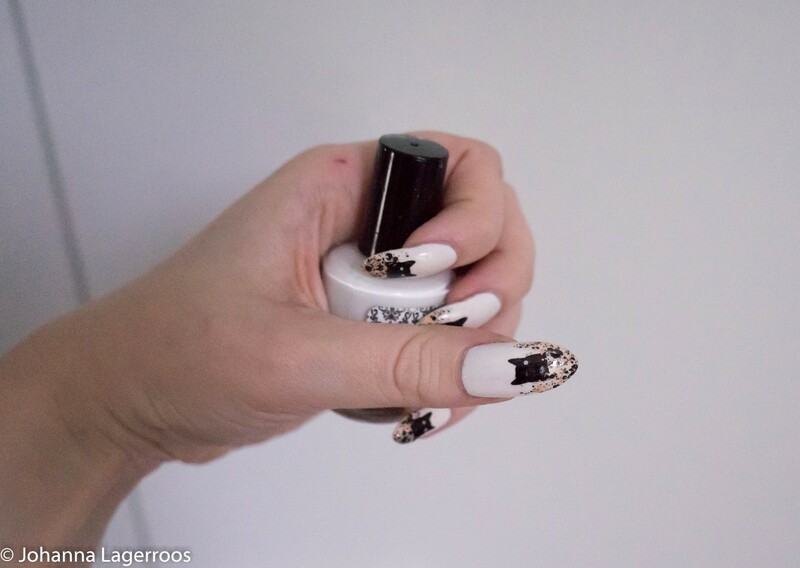 What do you think about this nail design? Let me know in the comments! That's all for today, but I'll be back with a little foodie post tomorrow! 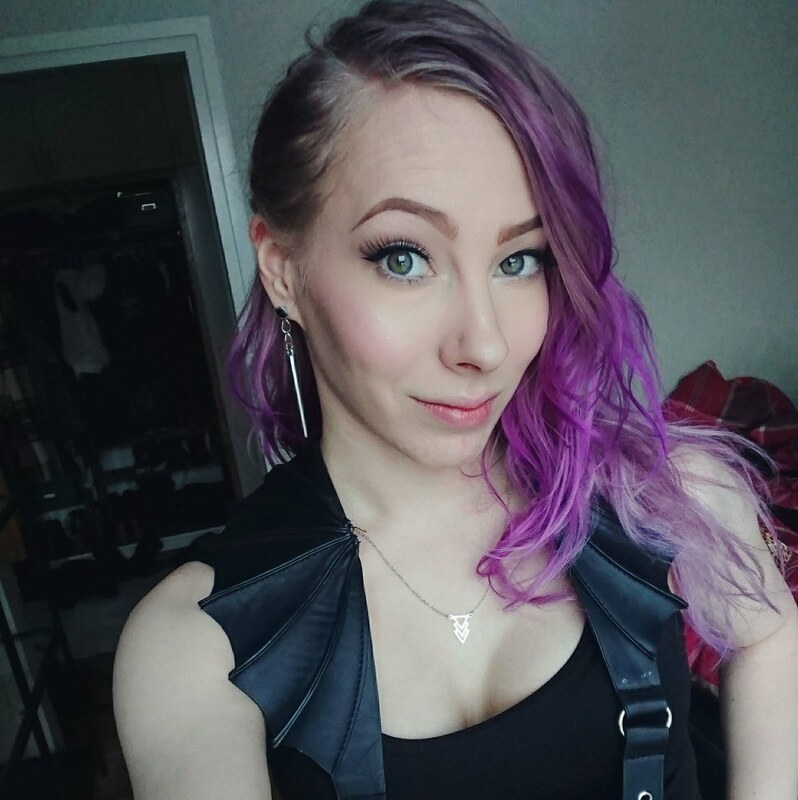 If you miss my outfit posts - which I still need to get properly back on, those will hopefully follow next month but now, my daily outfits can be spotted on my Instagram (@silvertigo)! And since this is related to cats and nails, I'll take a minute to advertise our cat's account @blackkittymiro - as well as my nail account @silvertigonails. I'll see you in the next one!